Jung and Intuition examines for the first time the twelve categories of intuition described in both the works of C. G. Jung and the post-Jungians. Nowhere, other than in Jung's own work, has intuition been more fully treated. Each form of intuition is critically explained in the historical context of its appearance and located in one of the four spheres of Jung's psychology: the unconscious, the subconscious (Unterbewusste, consciousness, and Jungian and post-Jungian practice. This work brings Jung's entire psychology in all its depth from 1896 to its contemporary use into greater clarity for both professionals and lay readers. 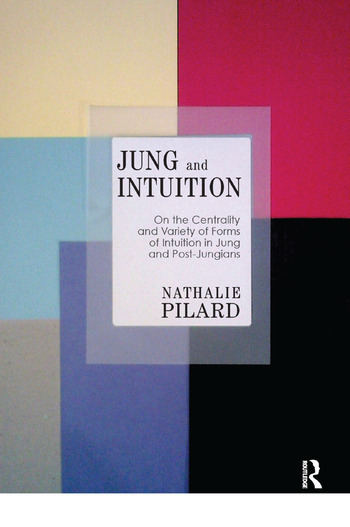 The author persuasively shows that intuition is at the heart of Jung's psychology. It is central to his concept of the archetypes as well as to his understanding of the subconscious and the active imagination. It also involves both clinical and philosophical approaches, as powerfully demonstrated by his pioneering work at the Burgholzli Klinik in Zurich.